To celebrate National Sandwich Day we had to have a spiffy sandwich bento. I knew this was an occasion for Lunch Punch (God's Kiersten's gift to sandwiches). 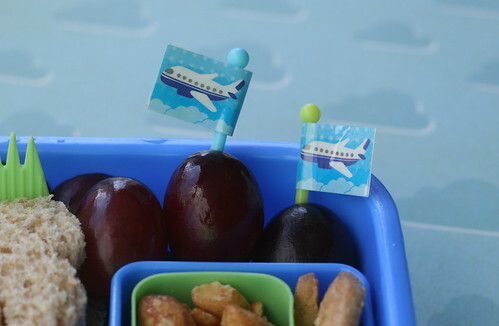 Packed in our Paperchase box there is a peanut butter and jelly sandwich on whole wheat, cut with the airplane and cloud cutter from the "Vrrrm" transportation Lunch Punch set, with a side of airplane-shaped graham crackers, peanuts, a few grapes and cucumber slices. There is a piece of silicone barran separating the cukes from the sandwich, and I used only one of the smaller inner dishes included in the bento set with a tiny silicone cup inside it to contain the little peanuts. 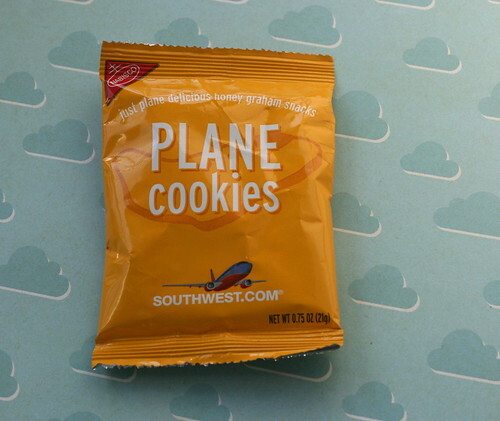 Unfortunately, I don't remember where these came from, but I was stoked when I peaked in my bento pick box and spotted these plane picks. Perfection! turkey snack & Lunch Punch giveaway winners! The Lunch Punch ~ Sweet set! giveaway!! 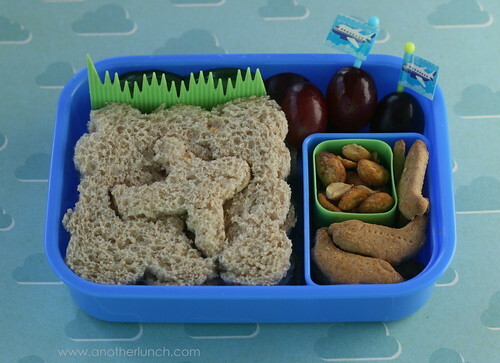 Lock & Lock box lovefest: snack bentos galore! Laptop Lunches - fall time!